A lawyer’s website can benefit from the same power of content marketing, but they face a set of unique challenges. Many potential clients have only a vague understanding of why they need an attorney, and they can become overwhelmed easily by technical jargon and legalese. Successful lawyers’ websites are those that produce content that stands out in a sea of generic information and resonates with clients. When this occurs, visitors connect with the content, converting more readers into leads. 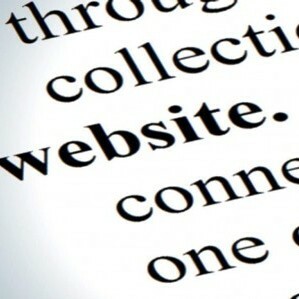 Cutting edge content strategies for a lawyer’s website involve four essential tactics. In modern society, people read more often, but consume less material than they did a generation ago. They browse dozens of web pages every day, but few engage with the content for more than a few seconds. The rapid pace of society has shortened attention spans across the board. People are in a rush to get the information that they need, because they are driven to constantly seek new experiences. Additionally, consumers are less engaged than ever with the content they see, leading them to scan pages only for new or relevant information. If readers find the information too difficult to read or understand, they scan even less. Studies indicate users who engage with visual media process information 60,0000 times faster than those who read. They also assess more of the information, and retain it longer than their reading counterparts. Visual media divides complex legal concepts into bite sized pieces that clients can understand in a single sitting, and the images draw them deeper into the content than text ever could. Visual media for a lawyer’s website may come as infographics or video. Infographics work because they capture the reader’s attention by highlighting the information that is most important. The images are accessible, engage the mind, and drive the information home. Video converts several minutes of reading into seconds of visual story-telling. As long as the video doesn’t drag on for more than two or three minutes, it can be far more effective than the best written article. Clients seeking legal help don’t have the time or the patience to sort through complex legal jargon. They want fast, clear answers to their questions in language that doesn’t require a dictionary. Content marketing for a lawyer’s website must be relatable to the reader, otherwise it appears generic and inapplicable to their lives. Relatable content creates an emotional connection that drives action, and demonstrates empathy on the part of the firm. Relatability is only part of the equation when striving for clear communication; the other is accessibility. Go to some lawyers’ websites or blogs, and you may be hit with a wave of legalese. The text is peppered with largely unfamiliar terms. Sentences run on for entire paragraphs, and the number of conditions or modifiers make even the most experienced lawyer cringe. Despite living in a time when reading material is everywhere, the reading skills of Americans are declining rapidly. Research shows that, while literate, the average American reads at only an eighth grade level. Legal terms and convoluted sentence structures drive potential clients away from content, and are counterproductive to their intention. The tone of the content must remain professional and accessible, so the client trusts the lawyer’s website as a valuable source of information. Clear content should come across as a trusted advisor speaking to a confidant, not a college professor lecturing a graduate seminar. All of the content strategies discussed previously contribute to one overreaching goal: to make the firm appeal to clients on a human level. Delivering accurate and relevant information to the client is the first step. It establishes the firm’s expertise, and builds a foundation of trust. Next, speaking on a level clients understand symbolically reaches a hand out to the client, inviting them to unload their burden or to become receptive to the firm’s advice. The final call to action then feels like a natural progression of the relationship, and a site visitor becomes a client. Using content marketing strategies on a lawyer’s website is important in today’s digital marketplace, but it only works when the content is different enough to stand out from all of the other content on the internet. Lawyers’ websites that are able to differentiate themselves from the pack will not only generate more leads, but will see more of those leads return dividends.